There's Magic for the whole family in the air when you visit Disney World, Disneyland and Universal Studios! What makes Magical Adventures Travel different from other agencies? We all share a love and excitement for the Magic found at Walt Disney World®! 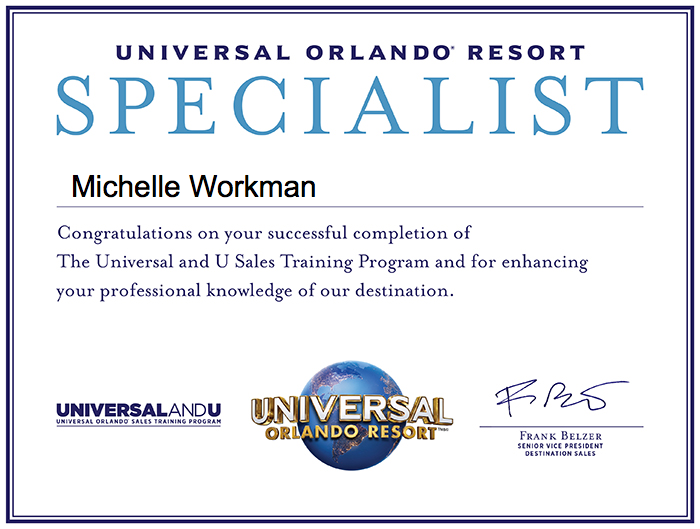 Our families vacation there, logging 100's of visits to both Walt Disney World® and Disneyland Resort®. We love Disney! Since 1998, we have been planning and organizing trips for groups and families. We have chartered motor coaches, driven our cars and flown to Walt Disney World®. We have searched for characters, made rope drops, closed the parks at 2:00 am, used fast passes and staked out parade and fireworks viewing spots. We have eaten and snacked our way around each park and Disney Springs, discovering our favorite foods! We have enjoyed fine dining with Mickey, Princesses and Pooh in addition to dining in each country in Epcot. We have looked for Hidden Mickey’s, experienced all of the shows and attractions, endured the heat and dealt with the cold. We have ridden the buses and walked (what seems like) thousands of miles. We have experienced the parks during festivals and celebrations every month of the year– Epcot’s Flower and Garden Festival, Epcot’s Food and Wine Festival, Mickey’s Not So Scary Halloween Party, & Mickey’s Very Merry Christmas Party. We have been on many behind the scenes tours, stayed at almost every resort and eaten at most restaurants. And we have learned how to NOT wait in lines! 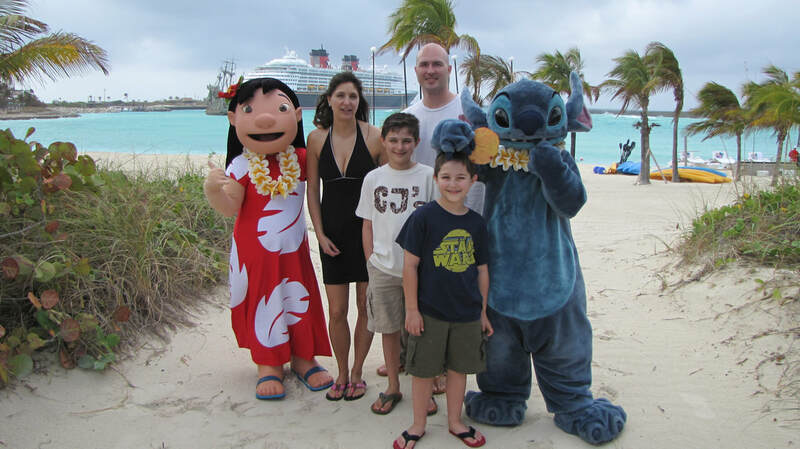 There is no added charge for booking family vacations through Magical Adventures Travel. Your cost is the same as if you booked it yourself. (Or it could be less!) We try to save you time, frustration and money. Disney compensates the agency after the client’s travel is completed. We do not charge any fees in relation to your reservation and all costs are disclosed to you when you receive a quote from us. ​ Why book with Magical Adventures instead of directly through Disney? Our concierge level of service is free. We can help you plan your trip – offering suggestions gained through our experiences and the experiences of other groups and families. We will also steer you away from options that might not be the best choice for your family’s needs. Our experience, knowledge and training can save you time and money! Disney Travel Agents are usually notified of specials or discounted rates before the general public so we are prepared in advance to make changes to save you money. Movie magic comes to life at Disney's Hollywood Studios®, awash in the glitz and glamour of Hollywood's Golden Age. Step into the action with attractions based on blockbuster movies and top TV shows, and delight in exciting entertainment that puts you center stage. With the vibrancy of a bustling movie set, this park features 7 sections: Hollywood Boulevard, Echo Lake, Sunset Boulevard, Commissary Lane, Pixar Place, Muppets Courtyard and Animation Courtyard areas. Fairytale dreams come true for children of all ages at Magic Kingdom® Park. Delight in classic attractions, enchanting fireworks, musical parades and beloved Disney Characters across 6 whimsical lands. See fantasy become a reality as you explore Adventureland, Frontierland, Liberty Square, Fantasyland—open while undergoing the largest expansion in Magic Kingdomhistory!—Tomorrowland and Main Street, U.S.A areas. Zoom through space, become a swashbuckling pirate and watch fireworks light up the sky over Cinderella Castle. Plan for enough days to discover two amazing Theme Parks - Disney California Adventure® Park featuring the 12-acre Cars Land and the one-and-only original Disneyland® Park with its world-famous attractions and beloved Disney Characters. Stay at the Hotels of the Disneyland Resort where an incredible vacation becomes an unforgettable storybook escape. First-class amenities offer more relaxed family time for making memories. Plus Downtown Disney® District, an eclectic entertainment, dining and shopping district is just steps from your Hotel. Magic Included! There's a special place where kids can train to be a pirate with Captain Hook while parents are off lounging the day away at an adult-exclusive pool. It's an enchanted place where the entire family can dine at a different restaurant each night, laugh and cheer during an original Disney-themed musical, or watch a fireworks show under the stars. At Universal’s Islands of Adventure, you can experience the world's most cutting edge rides. Shows and interactive attractions bring your favorite stories, myths, cartoons, comic book heroes and children's tales to life. Islands of Adventure is the stuff legends are made of. Around every bend is another epic adventure.